Congratulations ladies! I will be emailing your products shortly. I would also like to share with you an opportunity to help those devastated by the tornado in Moore, OK. I, along with many other Teachers Notebook shop owners have donated products to help raise money for those in need. All products donated have been combined in a special bundle worth over $800! By donating at least $20, you will receive ALL products and 100% of the profits will be donated! To find out more information click the link below. Happy Friday Friends! I officially have 5 days of school left. This time of year is always bittersweet. 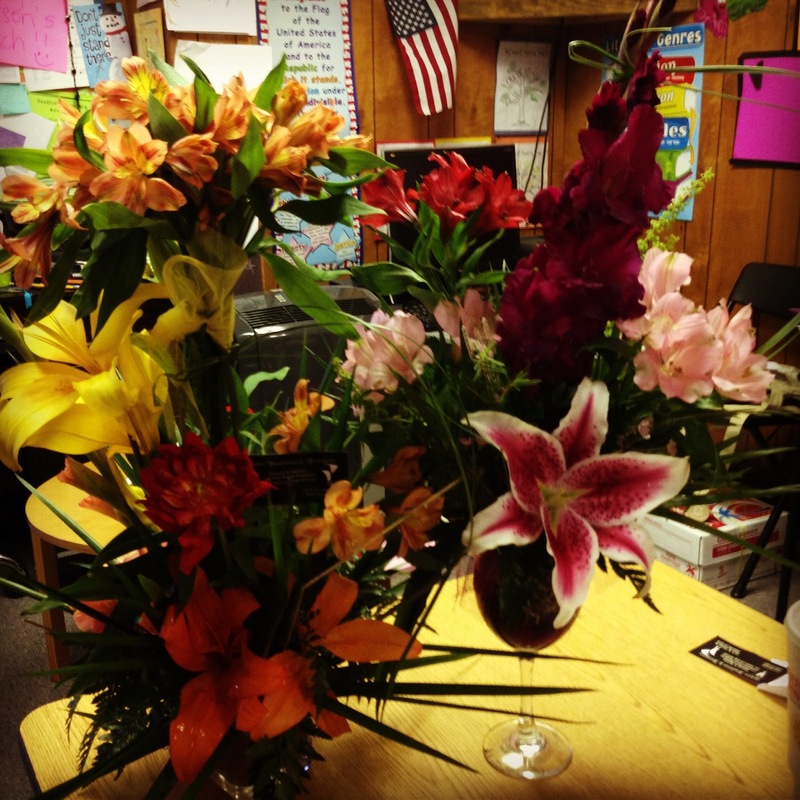 I enjoy my summers off, but I also love working with students every day. This time of year is where I truly see the fruits of my labor and the growth my littles have made. 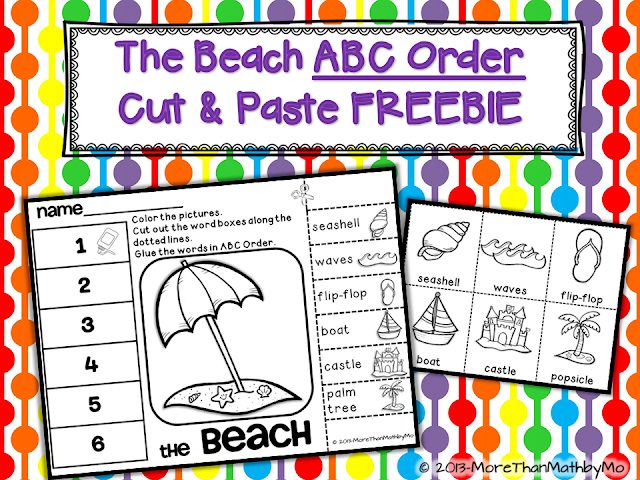 Anywho......Today's freebie is another one of my ABC Order Cut and Paste activities. With summer right around the corner, students are sure to be talking about beach vacations. 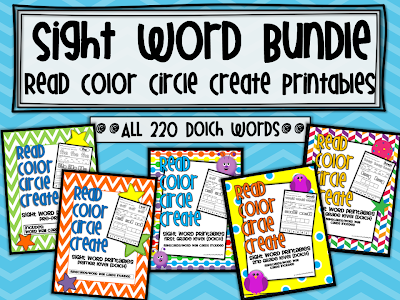 The vocabulary words used in this ABC Order activity are sure to get a great discussion going in your classroom. 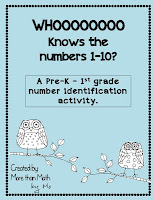 Click on the picture above to download the freebie from my TpT store. 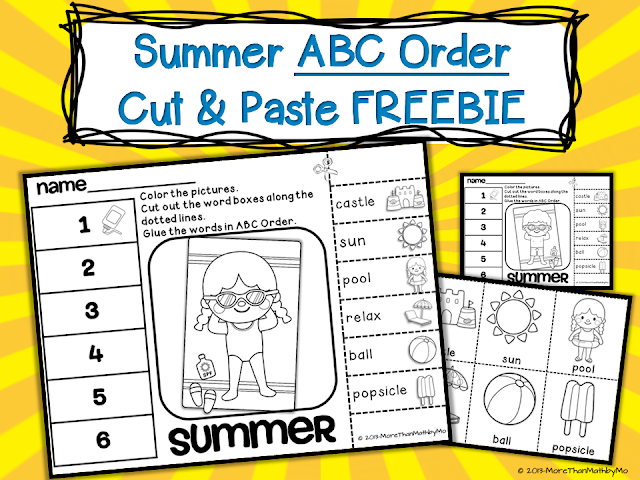 ***In case you missed my post 2 days ago, also available in my TpT store is another ABC Order freebie that is all about summer. Click the picture below for more information. Thanks so much for stopping by! I hope you all have a wonderful weekend. How about a GIVEAWAY! Leave a comment on this post telling me what you think of my ABC Order freebies and Sunday night (May 19th) at 9:00 PM (Central) I will choose 2 winners from those who commented. The 2 winners will receive my 2 newest products! These 2 sets are valued at $7.50. Good Luck! Be sure to leave your email address with your comment so that I can contact you if you win. I apologize for posting twice today, but I just can't wait any longer to share my new FREEBIE with you guys! The newest addition to my growing collection of ABC Order Cut & Paste Holiday/Seasonal Freebies is now available at my TpT store! 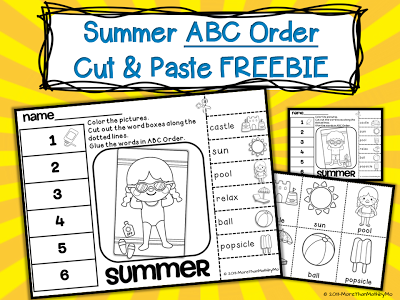 By using the activities in this freebie, your students will be able to practice their alphabetizing skills using vocabulary about summer. Included in this set are two versions of the cut and paste printable (boy version and girl version) and word/picture cards. The picture cards are included to help you meet the needs of all learners including those who may need to manipulate the words on an alphabet line prior to completing the printable. Click on the picture above to get your copy of this product. I hope you enjoy this freebie! 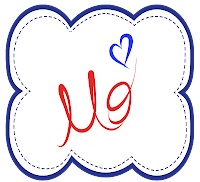 I love to read your comments and feedback, so feel free to share away! 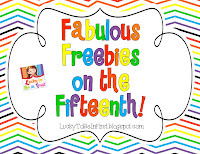 This post is linked to Lucky to Be in First's May fabulous Freebies on the Fifteenth. 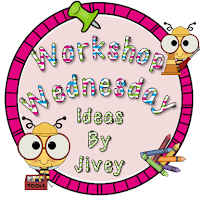 Today I'm linking up with Ideas By Jivey for her Workshop Wednesday Linky. The topic today is all about math manipulatives. As a lower elementary teacher I am consistently using manipulatives with my students. This year I have found that stickers are just as useful as many common manipulatives such as base ten blocks, 2 color counters, etc... My littles love practicing different skills using stickers. I have found many uses for the color coding labels shown below! You can buy them almost anywhere and they are fairly cheap. 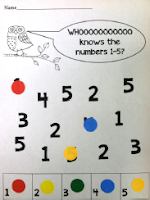 Who Knows the Numbers 1 - 10? is a product in my TpT store that is just one example of how I used stickers as manipulatives. Click on any picture below to visit my store. 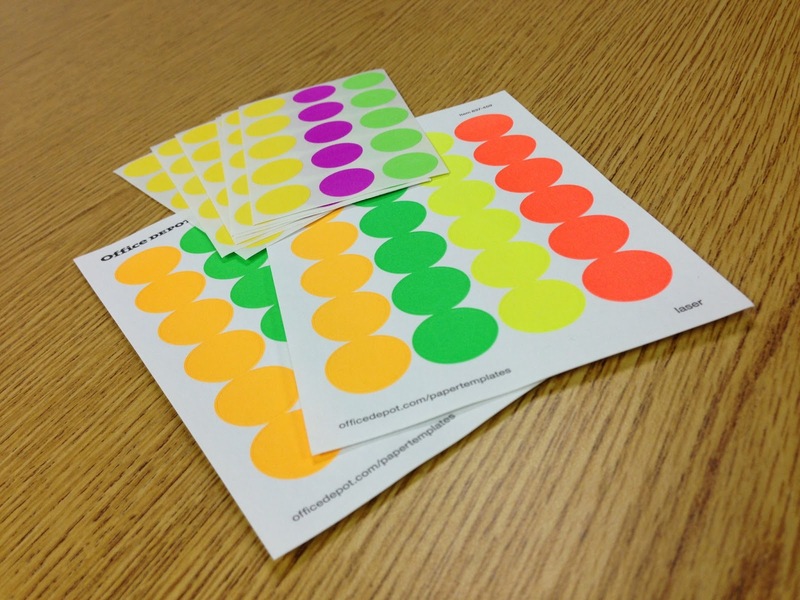 Although this is a simple number identification activity for young learners, the possibilities for ALL grades are endless with these stickers! Thanks for stopping by today! Be sure to visit my TpT store and check out my newest products and grab you a few freebies! With Teacher Appreciation Week coming to an end and my FREEBIE Friday (on Saturday), I have one more freebie to share with you. This set is actually a sneak peek at my newest product I am currently working on. I hope you enjoy! Click on the picture below to download your free set from my TpT store. Have a wonderful weekend! Don't forget to stop by my Facebook Page before 6:00 PM today to enter my giveaway! 3 winners will win 3 products of their choice from my store plus my newest product I am currently working on. Don't forget about the HUGE TpT Sale! You only have a few more hours to take advantage of this amazing sale. Click the picture (created by Graphics from the Pond) to visit my store. As I told you yesterday, I will be posting a freebie each day in honor of the amazing teachers out there! Today I have 2 simple sentence comprehension printables. Click the picture below to download your freebie. Remember to check my Facebook Page everyday this week for more daily special events! Don't forget today and tomorrow save 28% off every item in my TpT store. Click the picture below to start shopping. Have a wonderful day! Come back tomorrow for more FREEBIES. Such an exciting week! Before I tell you all about this week, I need to apologize for not posting FREEBIE Friday this past Friday! Life was a little crazy and just didn't have time. I did offer a Freebie on Thursday when I linked up with Freebielicious for their Fabulicious Freebies on the First. If you missed it, simply click HERE! Now for this week's excitement! If you haven't heard, this week is Teacher Appreciation Week. To show appreciation for teachers everywhere, TeachersPayTeachers.com is offering a sitewide sale on Tuesday, May 7th and Wednesday, May 8th. In addition to the 10% off they are giving customers, all of my products will be 20% off which means a total of 28% off all purchases made from my store. Don't miss out! Click the button (graciously provided by Mel at Graphics From the Pond) below to start shopping! I know my wishlist is overflowing with items I plan on purchasing tomorrow. But wait, that's not all I have to offer you this week! 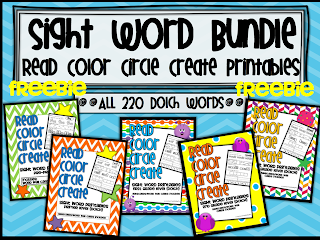 In addition to the amazing TpT sale, I am offering a FREEBIE (or two) every day this week in honor of all educators! Simply visit my blog every day to download your FREEBIES! Today I have 3 position word printables for you. 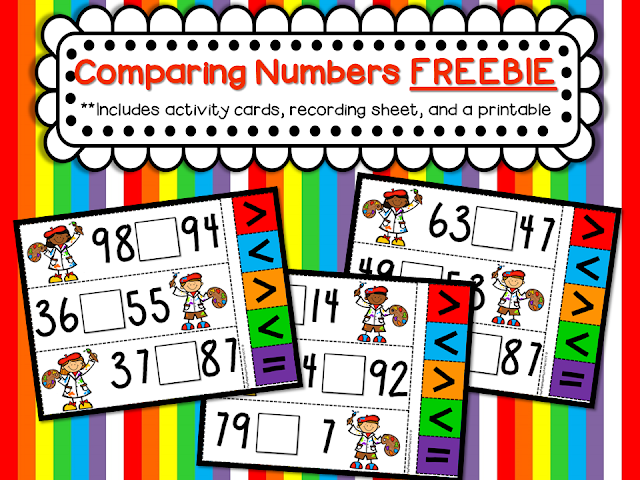 Click on the picture above to download these printables from Dropbox. I hope you all have a wonderful week! But that's not it! To make this week a little more exciting, I am hosting something special on my Facebook Page! Be sure to check it out. Click HERE to visit my Facebook Page. Today I am linking up with Freebielicious for their monthly Fabulicious Freebies on the First! 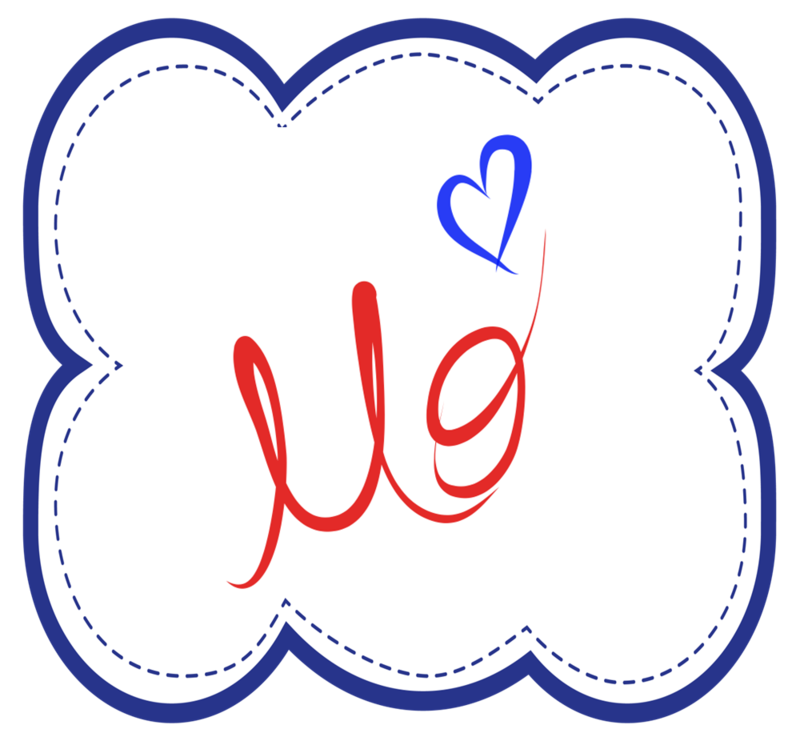 If you have not yet checked out their monthly linky, then I must say that you are missing out! after you read my entire post Click on the Freebielicious button below to check it out. I want to let you try out 15 printables from this bundle for free in order to see if this may be a resource your students could benefit from. 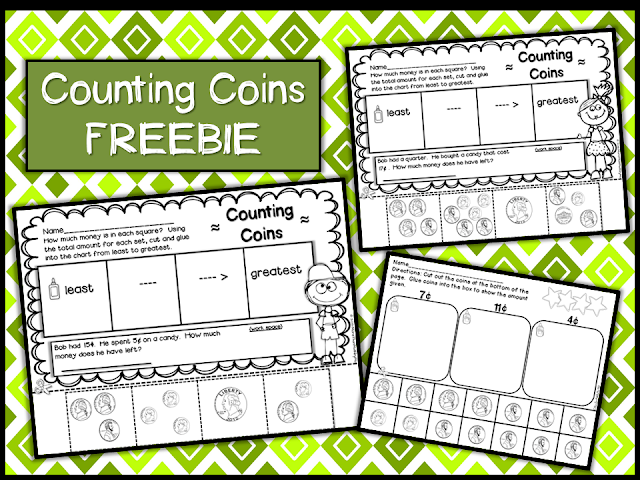 Click on the picture below to download this FREEBIE from my TpT store. 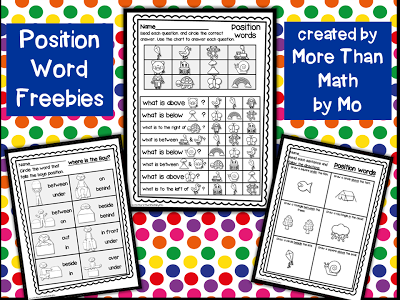 The 15 words included in these free printables range from the Dolch Pre-Primer level through the 3rd Grade level. I hope you enjoy! Please share your feedback in the comments below and/or in the feedback section on TpT in order to help me better this product if needed. Thanks! I also want to share another FREEBIE with you all. 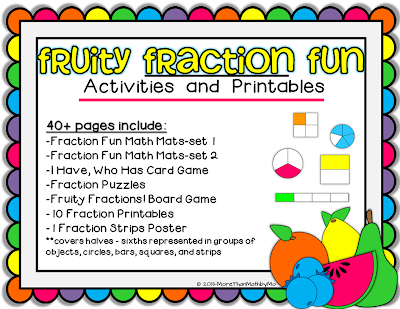 I created a product to help my littles practice fractions and recently posted it in my store. Click on picture to check it out. For your 2nd FREEBIE you will be able to sample some pages from this set. 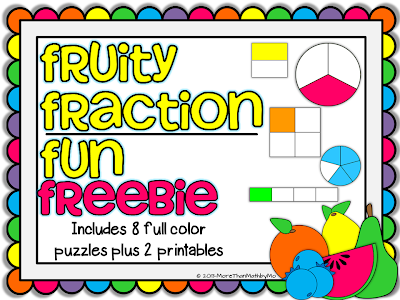 Click the picture below to download Fruity Fraction Fun Freebies and you will receive fraction puzzles as well as 2 printables. I hope you enjoy!